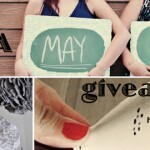 Happy May Day & MayDae Giveaway! *UPDATE: The giveaway is now closed – We will announce the winner Monday, May 9th! Hi friends! We are doing a special Sunday edition post because today is May Day! That’s right, May 1st is May Day, and even though we aren’t named after this holiday, we still thought it would be fun to host our next giveaway today. Soooooo, here we go! 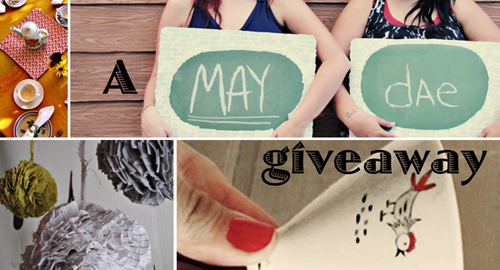 Two winners will each receive a $20 gift card to our MayDae Etsy Shop! 1) Leave a comment here on our blog and tell us your favorite item in our shop. 2) Follow us on Twitter & tweet us your favorite item in our shop. 1 winner will be chosen from our blog comments, and 1 winner from our Twitter followers, so if you want to double your chances of winning – do BOTH! Giveaway ends Sunday May 8th at 9:00 p.m. (MST). Winners will be chosen at random and announced here on the 9th. This giveaway is open to everyone (international residents included). I have to say I have had my eyes on the Jesus Savior Pilot Me Book Ends, a nautical piece that I would love to have!!!! I love the leather boots with stacked heel!! So Cute!! Happy May Dae! I love the Woodland Salt & Pepper Shakers, such cuties! Thanks for the lovely giveaway. I really like the Black Leather Crescent Clutch! The more I explored your shop, the more “favorites” I discovered! I love the vintage brown boots with stacked heels and the vintage green briefcase. Pick me! I love the large mushroom art! Cute for a kid’s room! Any of the shoes you have! They are all so cute, it’s hard to choose! I love the vintage metal tray. So cute. Brown boots, brown boots, brown boots!!!!!!! LOVE that sweet little fawn. I actually had a dream about it. My favorite item from the shop is http://www.etsy.com/listing/60137981/fringe-leather-flats-with-bow, among many others. Beautiful Depression Glass in Green is awesome! I LOVE the stacked heel leather boots! So cute! Love the deer coasters and the sweet driving gloves! love the heart shaped cake pans!! The Vintage Pink Floral Dress is my favorite in your shop! My favorite item is the pink coffee cups! I love the Deer Coasters! So cute!! cute giveaway, love the shop! My fav is the Beautiful Depression Glass in Green. My favorite is the Black Stretch Heels , but if I won, I’d get the black crescent bag. I can always use another cool black bag! I love the vintage metal tray with the apple’s! I really like the Vintage Olympia De Luxe Typewriter! Very cool! My fav is the Francisian Ware Coronado but when i win :) I will get the pink coffee cups or the brown melmac ones. 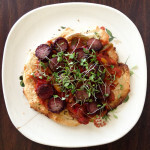 Love reading your blogs. I have my daughters reading them now. God bless. I LOVE ALL ITEMS! BUT ESPECIALLY THE WOOD GRAIN SUNGLASSES! IT’S SO DIFFERENT AND UNIQUE! I like the vintage green floral dress – very pretty and springy! It is really hard to choose but I do love the Vintage Handmade Letter A! I want that green floral dress, it is too too cute! I love that adorable mushroom house art!! I adore the Franciscan Ware! Very nice shop! I love the vintage Piggy Bank with the headdress and teepee! It’s a toss up! Actually, more than a toss up…your shop is so cute! But, I’d say my favorites are either the vintage seafoam green pillow, or the addooorabbble baby deer toy. I like the vintage plaid dress! Ooh, I just love the vintage driving gloves! I love the pretty floral print dress! My favorite item is definitely those woven leather flats! those would be perfect for walking around in when summer finally gets here! Mandatory Entry: i love the Vintage Green Dress 1960s mostly! I love the vintage wood grain cups. Makes me want to make a delicious cup of Earl Grey tea, take it out onto the varanda and sit admiring the gorgeous view. I imagine I’d feel a wee bit chilly since it’s not quite summer yet, but it would make me notice all the more the warmth of the stay beams of sunlight. Definitely the Large Owl Picture Frame!! My favorite item in the shop is Vintage Blue Suitcase and Garment Bag, it is such a pretty color, and I’d love to use it for travel! I love the green dress! And the girl wearing it oh so pretty! Love the Wood Grain Sunglasses!! Ijust scratched my glasses like these. I am in neeed! Hha. Good luck all! I love the cow boy boots! So rare and the look perfect for a floral dress vintage gress! I love the cow boy boots! So rare and it looks perfect for a floral dress So vintage ! Omg! This dishware set is definitely breathtaking! I love the wood grain sunglasses. Following you on Twitter and I tweeted about my favourite item from your shop. I love the Hand Painted Deer Dress. I love the Wood Grain Sunglasses ! I follow you on twitter and here’s the link for the tweet on my favorite item! I love the Wood Grain Sunglasses! I love the pink coffee mugs! They are just me. 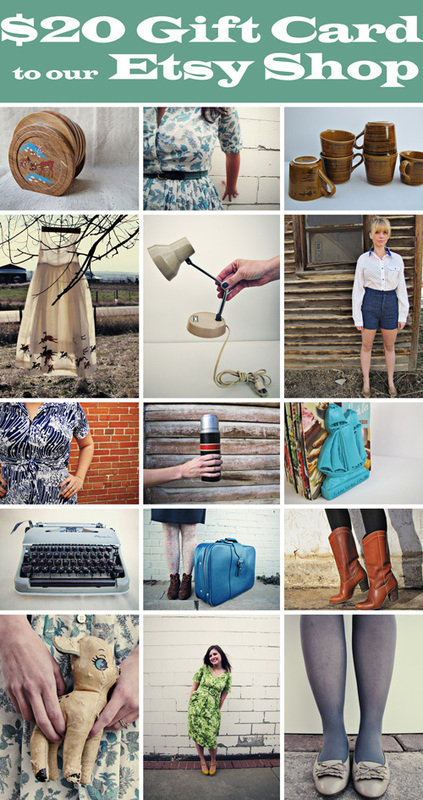 I love the green handmade vintage dress – lovely giveaway – thank you! The gorgeous black wiggle dress is….um…..GORGEOUS!! :-) Thanks. i love the green vintage dress AND the briefcase.